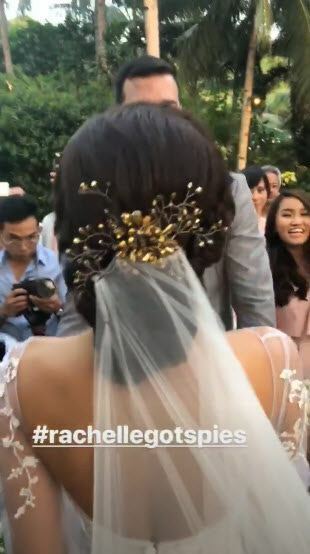 We Are Living For Rachelle Ann Go's Wedding Hair Accessories! ICYDK, Rachelle Ann Go wed Martin Spies on April 18, 2018 in an intimate ceremony in Boracay. 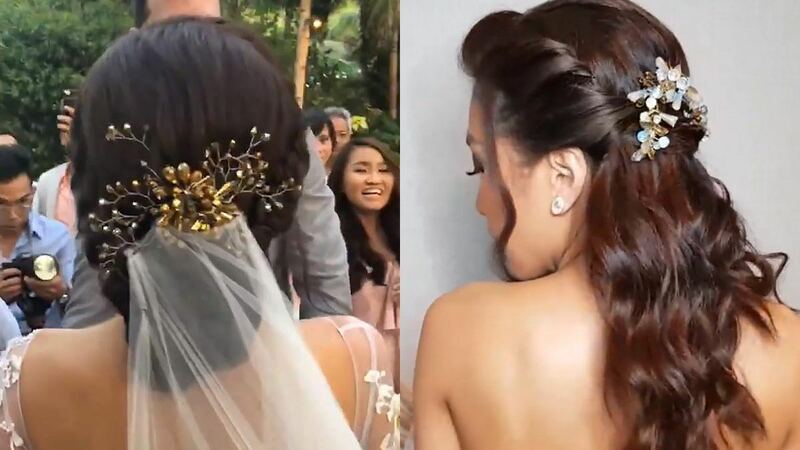 What caught our eye was her hair accessories that perfectly complemented her updo and couture Oz Go bridal gown. The golden hairpiece was created by London-based jewelry designer Rencie Santos, a close friend of Rachelle. According to Rencie, the inspiration/theme for the two accessories is "dreamy." Both were made with "semi-precious stones, metal, and crystals," and they each cost about £200 to £250 (P14,777.88 to P18,472.35).